I’ve been reading a lot about winter lately. While working on a book project for the Wisconsin Historical Society, I’ve dug out a lot of primary accounts from European and Yankee immigrants settling in the Upper Midwest in the 1800s. Not surprisingly, the most poignant accounts describe the earliest days of white settlement. 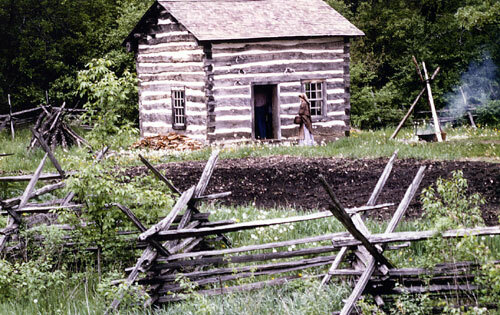 When I worked at old World Wisconsin, one of my favorite buildings to interpret was the 1845 Fossebrekke Cabin. The Fossebrekkes, like many immigrants, opened their home to late-fall arrivals who had nowhere else to go. Some visitors couldn’t imagine surviving a winter in such a small building. That’s me heading into Fossebrekke, 1983. But when Knudt arrived in Wisconsin, he had nothing. He worked as a laborer and spent his first winter in some kind of a shelter dug into the side of a hill. So I imagine that he and Gertrude Fossebrekke took enormous pride in their sturdy cabin. A large log house was built on Nils Gilderhus’ land in the summer of 1841, but as they did not get it ‘clinked’ (sic) between the logs before cold weather set in, they continued to live in the dugout that winter. 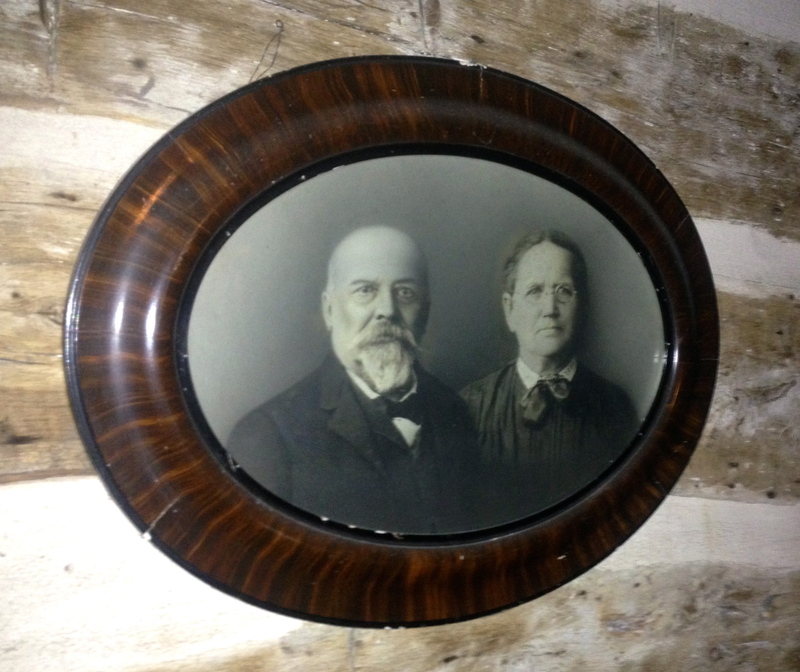 Here Andres Lee and his wife, Gunvor, a sister of Nils, came from Norway late in 1841 and lived with all the rest in the dugout, as did a man named Andres Fenne. Later in the winter, Tore Kaase was also welcomed to live in the same dugout, there being no other shelter, which made a family of six men, one woman and two children, all in the same small dugout. The winter was severe, and the house being enclosed by foot wide boards, but neither plastered or sealed the green boards warped and left great cracks, and the water froze in our glasses on the table, and if a little spilled on the floor it would freeze before we could wipe it up. We had no crib for the baby and had to keep him tied in a chair. 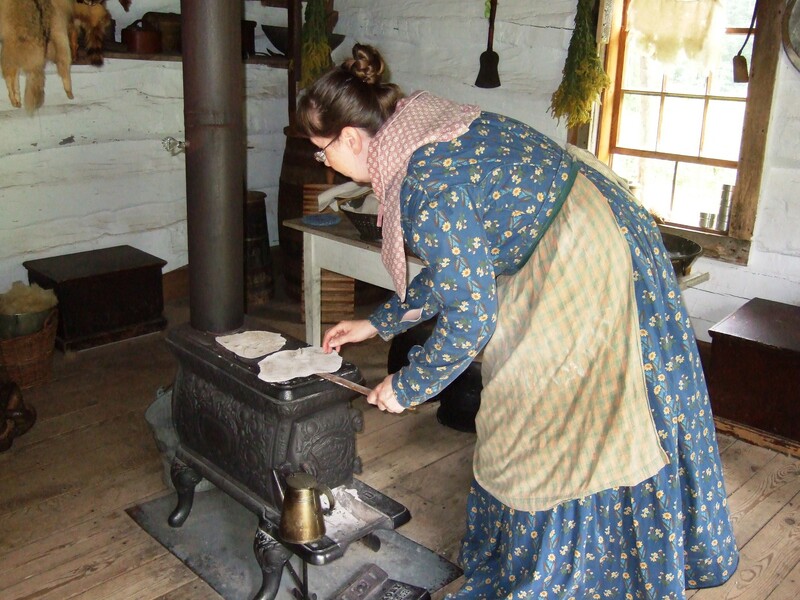 Our mother was sick all winter and we hung quilts and blankets around the stove pipe and fixed her bed in the enclosure; our money was nearly gone and we had to plan closely to get provisions but by hook and crook we managed to keep alive. Only those who have experienced it can imagine the loneliness of the first winter 30 miles from a post-office. One inconvenience was the lack of matches. One wild, windy night Mr. Gardner’s fireplace went out. Soon Mr. Salisbury came. He, too, had lost fire. Together they started for Moses Smith’s to borrow coals. Mr. Salisbury fell into a river when crossing on a fallen tree. 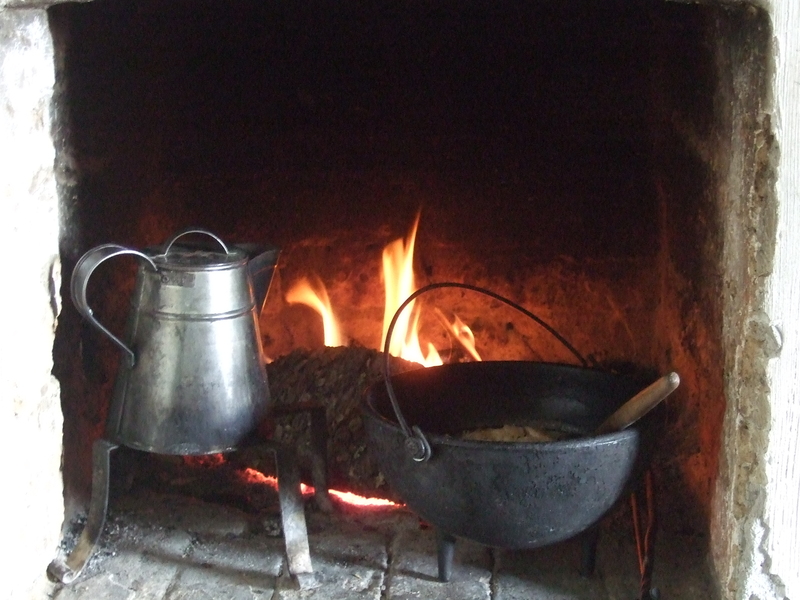 Cooking nook, Schulz Farm, Old World Wisconsin. Without matches, fire could not be taken for granted. While Mr. Salisbury remained at Smith’s to dry his clothing, Mr. Gardner started homeward. After going some distance he thought the pail seemed light and found that the bottom had melted and the fire was gone. Returning he borrowed an iron kettle, filled it with coals, and succeeded in reaching home with it, and a good, comfortable fire greeted Mr. Salisbury on his arrival. Last week, while on a writing retreat, I stayed in a cabin built in 1853. I’ve stayed there before, and it’s a good space for me. 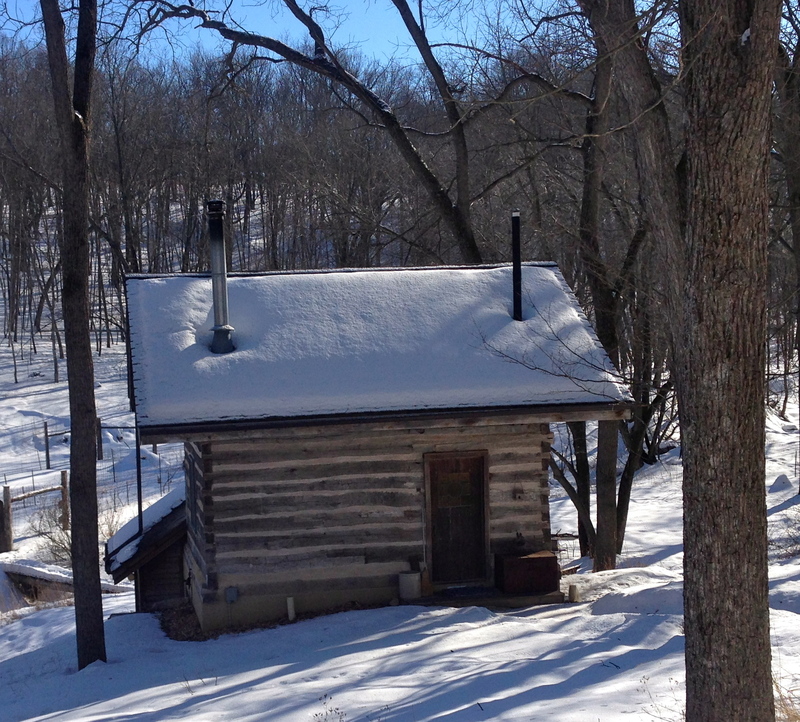 Fern Hollow Cabin in NE Iowa, owned by Liz Rog and Daniel Rotto. 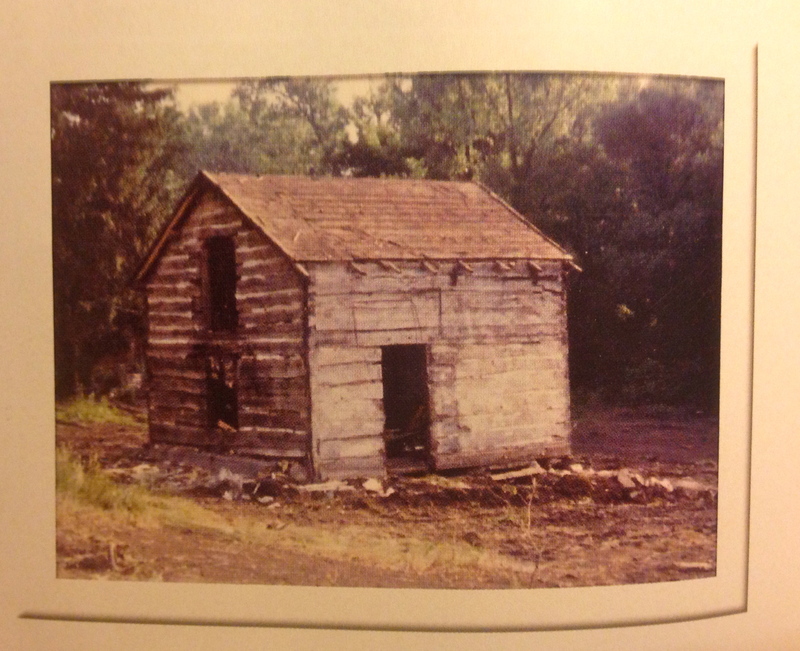 From the family album–Fern Hollow Cabin before restoration in 1989. Liz’s great-great-great-grandparents raised six children in this home, and Liz and Daniel later raised their own two children here. It was cold during this stay—often below zero. 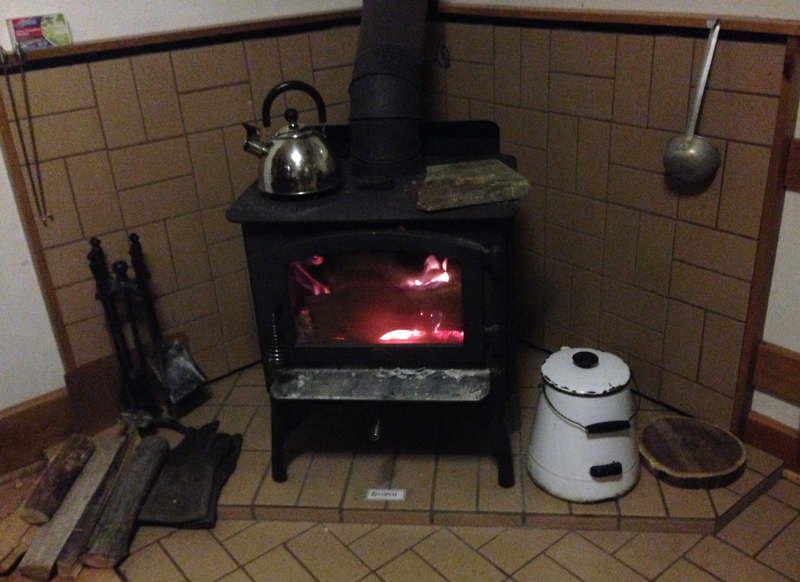 The cabin’s only source of heat is a small wood-burning stove. That’s a slab of soapstone on the top right side of the stove. After heating it up, I’d wrap it in a towel and take it up to bed in the loft. I got a lot of work done, but the status of the fire never really left my awareness. A rhythm developed: fetch wood, tend the stove, write. Fetch wood, tend the stove, write. 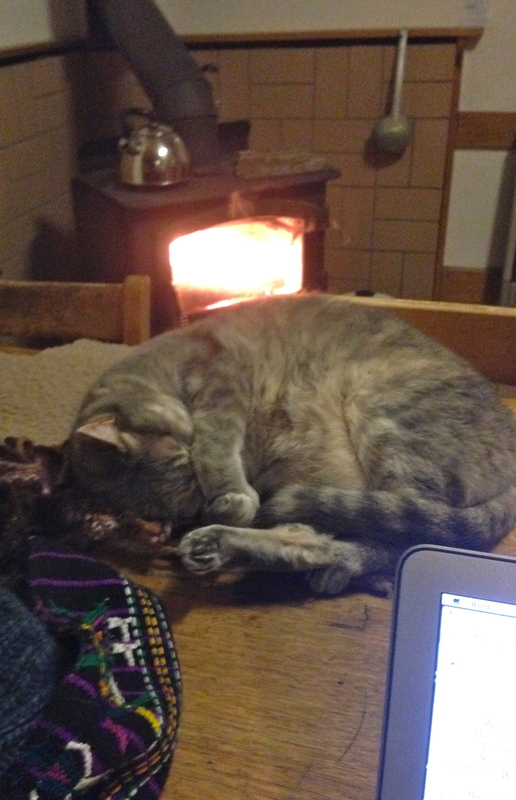 All the essentials—laptop, companion feline, and stove. Not shown: steaming mug of cocoa. I was also acutely aware of how easy I had it. I did not cut the wood, or stack it. When I had to leave for several hours, my hosts kindly stoked the stove. And I knew that if I did “lose” my fire, all I’d need to do was crumple newspaper and light a match to get it back. This has been a long winter for most of the country. I will savor the first warm days of spring as much as anyone. But the accounts of pioneer winters have helped me keep the season’s challenges in perspective. It’s snowing as I write this, and I can’t help thinking that I have a lot to be grateful for. We can never truly imagine how our ancestors experienced winter, while struggling to build a better life for generations to come.